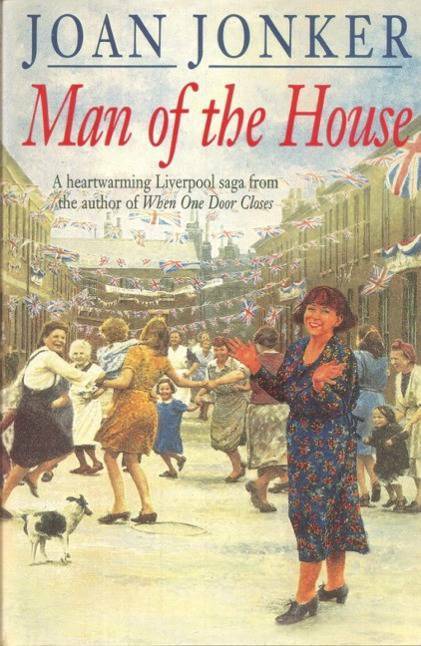 Man of the House is a heart-breaking but ultimately uplifting saga of life after the war, in the second instalment of Joan Jonker's Eileen Gillmoss series. Perfect for fans of Dilly Court and Katie Flynn. On VE day, everyone was rejoicing and it seemed the whole population of Liverpool had turned out to celebrate. Eileen Gillmoss, a colourful character with a smile forever lighting up her face, was the life and soul of the party. Today was the day she'd prayed for and dreamed about. After five long, lonely years, her prisoner-of-war husband Bill would be coming home, back to the open, loving arms of his wife and children. But the man who comes back from the war is a complete stranger to her. It isn't only that Bill's appearance has changed. It's his remoteness, his flinching from her touch that Eileen can't cope with. Now, Eileen, who is always there to lend a shoulder to cry on, is the one in need. But who can she turn to? No one can give her what she craves most... her old husband back. She wants him back where he belongs, as the man of the house.